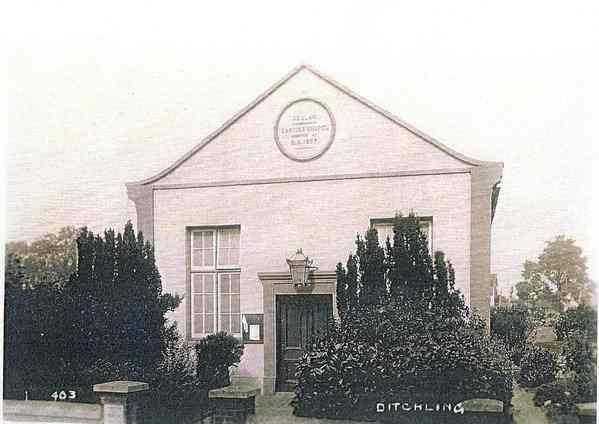 Where was the Ditchling Home Guard HQ during WWII? The Beulah Strict Baptist Chapel was built by a tobacconist and lay preacher, George Greenyer who moved from Brighton to Ditchling around 1865. He bought a pair of cottages now the single house next door called Brewers, and taking some of the garden built the Chapel which opened on Monday, May 24th 1867. Under the floor there was a full immersion tank for baptisms. Mr Greenyer was the Pastor for 28 years, until his death in 1895. The Chapel closed for worship in 1936. During the Second World War the building served as the Headquarters of the Home Guard and in 1947 was converted to a private house.